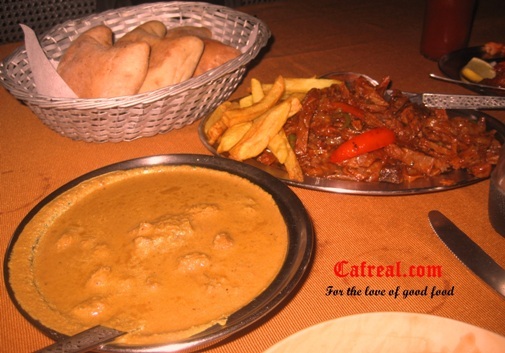 Cafreal.com: Cottage cheese is a low-fat cheese curd which is widely used in several recipes across the world. It can be eaten plain, with seasoning, in salads or even cooked with vegetables and meat. Cottage cheese has a lower fat content and contains a good amount of Vitamin B12, riboflavin, phosphorus, vitamin B6, folate and selenium. It can be a great inclusion into the diet of people who need calcium and proteins. 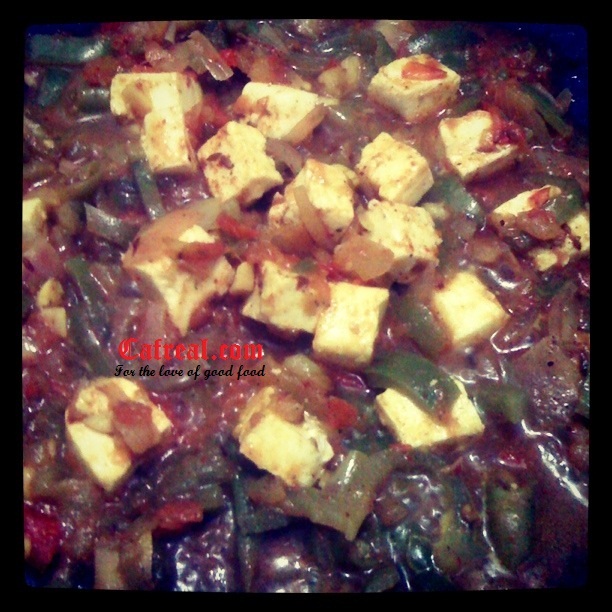 It is better known as paneer in India and is also a vegetarian substitute for meat in this Asian nation. The cottage cheese with capsicum and tomato recipe is a simple one with an Asian twist which will tickle your taste buds and keep you satisfied; it can be had as a nutritious snack at tea-time, lunch or brunch. This healthy food recipe includes fresh cottage cheese cooked with crunchy green capsicums and sauted in a thick tomato gravy, seasoned with ginger, garlic, cumin seeds and fresh herbs. Now doesn’t that just lift your mood up? Cut the fresh cottage cheese into 1/2 inch cubes. Add 1 tbsp of light olive oil to a thick base frying pan, drop in the cottage cheese cubes and saute on a medium flame for 2 minutes. Take the sauted cubes off the pan and keep aside. Add 1/2 tbsp of light olive oil and saute the green capsicum strips till they are tender. Take them off the pan and keep aside. Use the remaining 1/2 tbsp of oil to fry the cumin seeds; once they splatter, add the fresh tomato puree, sliced jalapeno (for that spiciness), finely chopped garlic and ginger paste. Alternatively, you can grate the 2inch piece of ginger instead of grinding it into a paste, if you so desire. Let the mixture stay on the fire for 2 minutes, mixing it up with a flat wooden ladle occasionally. Pour in the water (4tbsp), add salt to taste and let the tomato gravy cook for another 2 minutes. 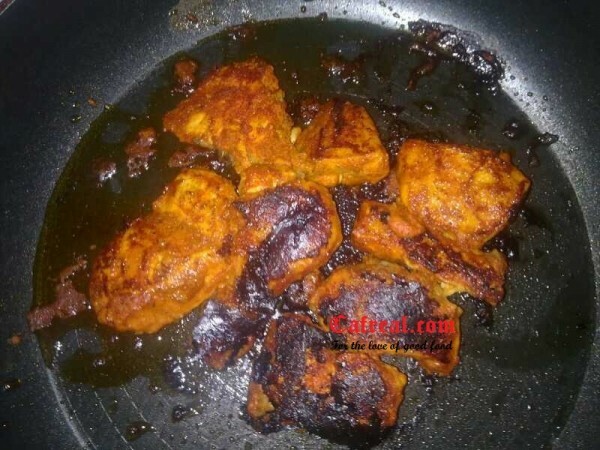 Drop in the sauted capsicum and cottage cheese, stir gently making sure that you do not break the cottage cheese cubes and let it simmer for 5 minutes on a slow flame. Once the cottage cheese cubes are delicately enveloped by the tomato and capsicum mixture, add the chopped olives, freshly ground pepper and cover the pan for 2 minutes to let the flavors come together. Your cottage cheese with capsicum and tomatoes is ready! Garnish with freshly chopped (or dried, if you like) parsley and basil and enjoy a healthy and delicious meal. Eat it plain or with pita bread, you’ll love it anyhow! Note: If you are adventurous and want to experiment with the Indian version of the dish, you can add 1/2 tsp of garam masala (mixed spices), 1 green chilly and 1/2 tsp coriander powder when you are cooking the tomato gravy. Alternatively, you can garnish with freshly chopped coriander leaves.